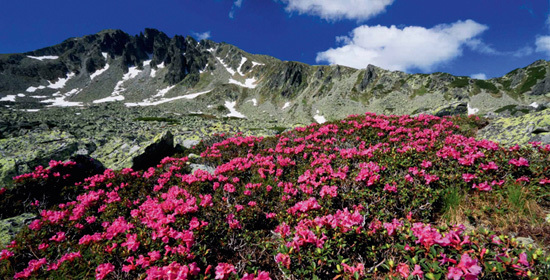 Glacial chines and spine with feet drowned in a sea of rocks; quays, caves and sinkholes; wild forests, meadows with rare plant species and many others compose a unique landscape ensemble that worth a place in the top of world’s natural sanctuaries. 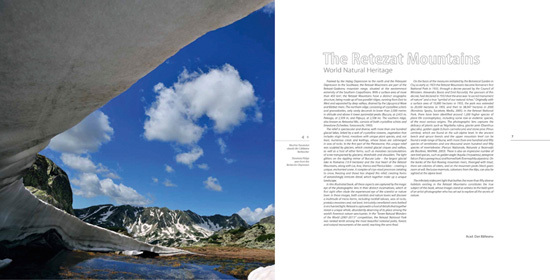 In the album Retezat Mountains – World Natural Heritage, all these aspects are skillfully observed through the magic eye of the camera in different angles which, at first sight, may escape the experimented eye of the researcher or of those that love the beautiful. 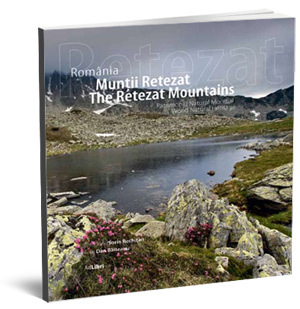 The light with its infinite iridescences that surround the great variety of the over 50 habitats present in Retezat mountains represent an authentic symbol for this album. It is an album whose images constitute a proof for the audacious spirit of an artist photographer who planned to seize all the mysteries of the nature. We accept payments through PayPal. PayPal makes buying products and services or even sending money as easy as sending emails. It is the leading online payment system in the world. Fast, Easy and Secure! You don’t need a PayPal account. Pay securely using your credit card. 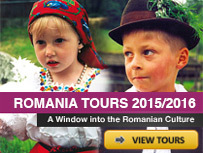 If you don’t have a credit card and want to order the book, please contact us at order@romanianmonasteries.org. We will try to find a different way to send you this beautiful book. Price 25.99 € + shipping. For purchases made in US dollars or other currencies they will be converted automatically in euros.